The South Vietnamese army launched an invasion into the southeastern part of Laos. The goal was limited to disrupt the use of the Ho Chi Minh Trail bringing supplies into South Vietnam. 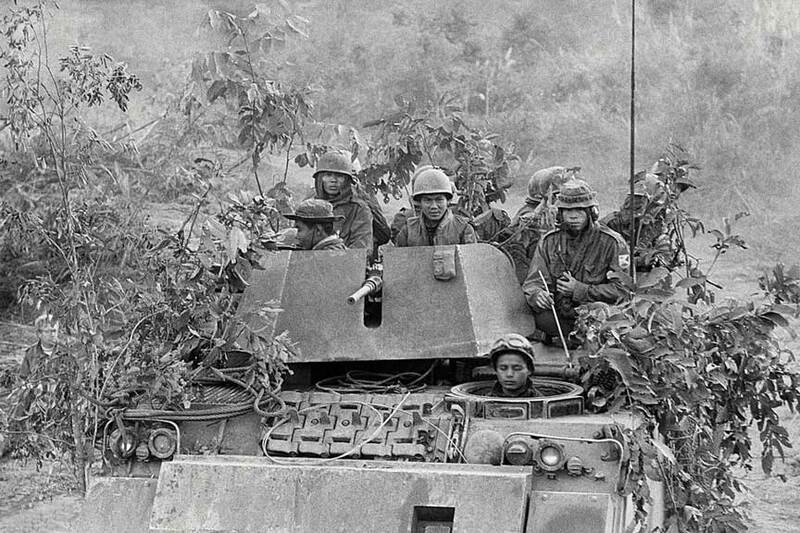 It was hoped that a successful operation would give additional confidence to the South Vietnamese forces that once the United States left the South Vietnamese would be able to stand on their own. The US could only support with logistics and not artillery support since Cooper Church Amendment prohibited US forces from entering Laos. There were an estimated 22,000 communist forces in an area. As opposed to the incursion of Cambodia when the communist forces withdrew, this time they counterattacked. Despite massive air support the South Vietnamese were unable to withstand the attacks and were forced to gradually withdraw. The cost to the North Vietnamese however was also very high, they are said to have lost 19,360 killed.